Damon Runyon's classic stories of New York City gangsters come to life in this radio series. Broadway, our guide through Runyon's world, introduces us to characters who are often as soft-hearted as they are shady. 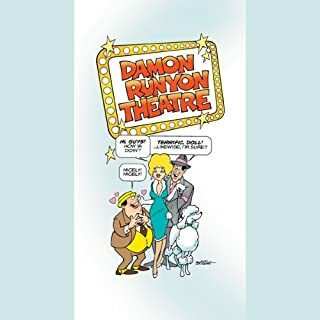 For gamblers, burlesque queens, murderers, and innocents, comedy and tragedy were found in equal measure on the streets of Damon Runyon's Manhattan. I like Runyon's use of language, but I thought this particular story was both predictable and depressing, with the kind of one-dimensional characters that seem obsolete by modern standards. It would be "nice" if Audible would provide some other Runyon stories instead.